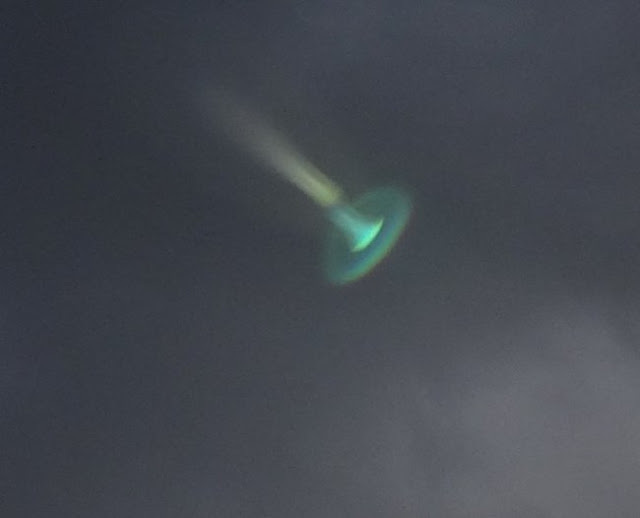 A mysterious object in the form of a multi-colored jellyfish was seen in the evening sky over the city of Groningen in the Netherlands. The glowing object hit the camera lens of Dutch photographer Harry Perton (Harry Perton), when he was shooting a thundercloud. First, the photographer took the object he saw for lightning, but later was very surprised that the strange object in the photo is very similar to the so-called UFO (an unidentified flying object) – most often this word is applied to aircraft with an unidentified accessory. 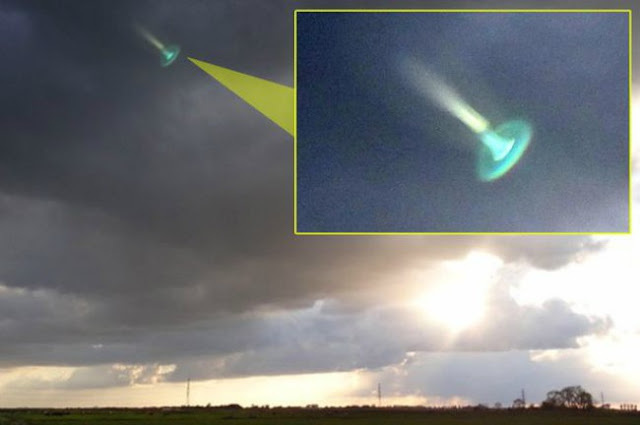 I thought it was a lightning strike, but when I got home I saw something strange in one of the pictures – it was something like a UFO, “the eyewitness told the newspaper The Mirror. When journalists of the British edition of IBTimes asked the author of a photo to tell more about what he saw, he insisted on the purely scientific nature of the object. I believe that this is a meteorological phenomenon. The sun is seen through a small hole in a thundercloud, so the observer sees a green “object”, explained Perton.